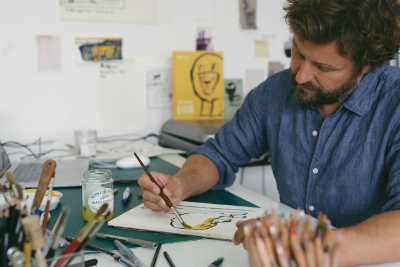 Born Free is delighted to be teaming up with award-winning writer and illustrator Ed Vere, who has been announced as the charity’s artist in residence from January 2019. As part of this project, Ed will travel to Kenya to learn about Born Free’s important work to protect lions in Amboseli and Meru; exploring the landscape, writing about and painting lions in their natural habitat, and understanding the lives of the local people they live alongside. The work that Ed creates will be presented in a special book to commemorate Born Free’s 35th anniversary, with a portion of the proceeds going directly to protect lions in Kenya. An exhibition and fundraising auction are also planned for later in the year. Ed Vere is an award winning and New York Times bestselling writer and illustrator of picture books. His books have been published around the world in over 20 languages. 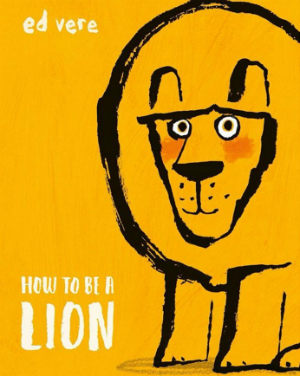 How to be a Lion was recently nominated for both The Greenaway Medal and The Carnegie Medal – almost unprecedented for a picture book. 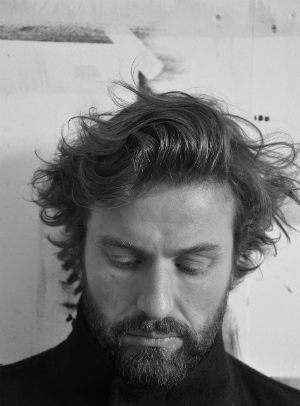 Ed has exhibited his paintings internationally, showing in London, Cape Town, New York, Tokyo, Reykjavik, Los Angeles, Stockholm and Amsterdam, amongst many others. Follow Ed’s progress on social media! We look forward to updating you about this exciting project over the coming weeks and months!